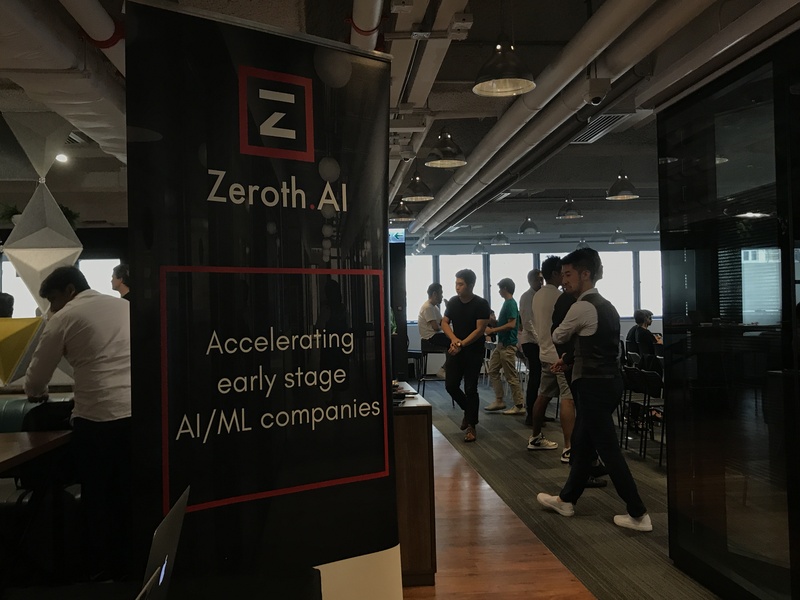 Hong Kong-based Zeroth, an AI-focused startup accelerator, announced on Monday it has entered into a strategic partnership with Tokyo-based Deepcore, a Softbank-backed VC firm and incubator focused on AI startups. Through this alliance, the two companies will share their deal flow and information regarding investment in Japan and Asia. They will also cooperate with the entrepreneurial communities of each market. 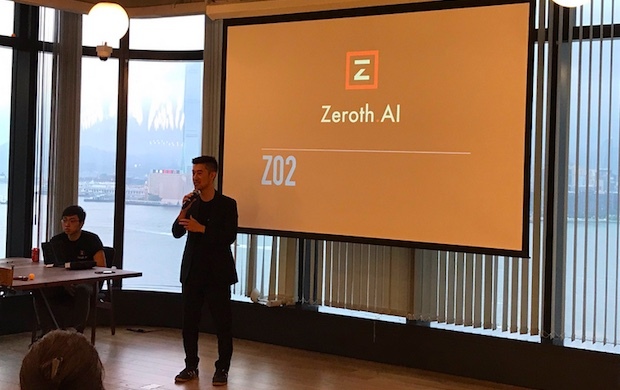 Zeroth Partner and CEO Tak Lo, whose previous work includes Director of TechStars in both New York and London, launched the accelerator in Hong Kong in 2016. Until now, three batches have turned out 33 companies, and AI startups from Japan such as Foxsy and Laboratik have participated. As of June 2018, the cumulative amount procured by the graduates is over 300 million yen (about $2.7M US). Lo said in an interview with The Bridge that Zeroth received physical and resource support from Deepcore due to this alliance, but did not disclose whether Deepcore had invested in Zeroth. Zeroth is currently accepting applications for its fourth batch, and from now is starting programs in Tokyo and Bangalore, India, in addition to Hong Kong. 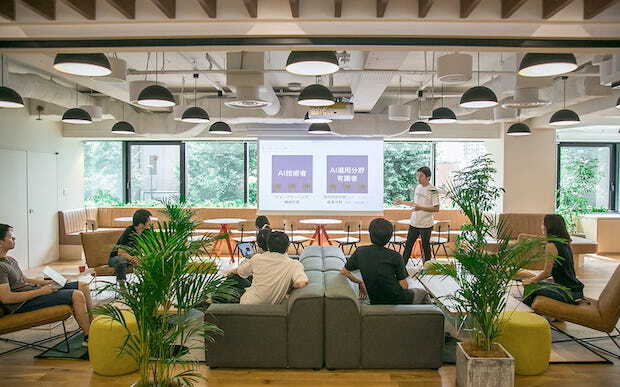 Deepcore’s incubation facility Kernel Hongo looks to be a promising space for use during the expansion and Demoday of Zeroth’s program in Tokyo. Prior to this tie-up, Hajime Hotta, CTO of Cinnamon, an AI startup from Japan, recently became a Zeroth Partner. Although he has been a mentor since its establishment, it appears he is involved in the overall operation of Zeroth, making full use of his knowledge and networks throughout Southeast Asia. Hotta said in an interview with The Bridge that because of the alliance between Zeroth and Deepcore it will be easier for startups outside of Japan to reach the Japanese market in terms of business development and opportunities created, and likewise for Japanese startups it will become easier to enter overseas markets. In addition to Hotta, Zeroth announced that Paul Pheby, who has been involved in numerous famous banks and mainly invests in Seoul and Hong Kong, also joined as a new Partner. Deepcore CEO Katsumasa Niki said the following in a statement to the press. We regard this partnership with Zeroth as an important step to expand the boundary of our capability. Zeroth’s international perspective will provide us with a significant advantage to inspire entrepreneurs in Japan to address globally momentous issues with the power of AI. We are excited to pursue a shared vision with Zeroth. Zeroth CEO Tak Lo had the following comments to share. We are humbled to work with DEEPCORE, with whom we share a vision of the future of AI, its impact on technology businesses, and its opportunity to solve humanity’s great problems. Together we will work closely to realize that vision, and support AI founders across the world and specifically in Japan. In December of last year, Zeroth raised $766,000 US in its first round from Animoca Brands (Australia Stock Exchange: AB1), which is a Hong Kong-based company that provides mobile games and subscription products. This year, Animoca Brands acquired 67% of the shares (a de facto merger) of Venture Classic Limited managed by Zeroth, and at the same time promised a capital contribution of $2 million US to Zeroth’s investment corporation Zeroth SPC, which became separate. Hong Kong’s financial conglomerate Sun Hung Kai also has a memorandum of understanding to make a direct investment in Zeroth SPC or startups it has invested in.